The HD-IX6172W-28-S2 is a 4-in-1 high definition dome camera supporting analog CVBS (older analog systems), as well as high definition over coax HDCVI, HDTVI and AHD systems. It offers up to 1080p high definition video when used with a high definition recorder. 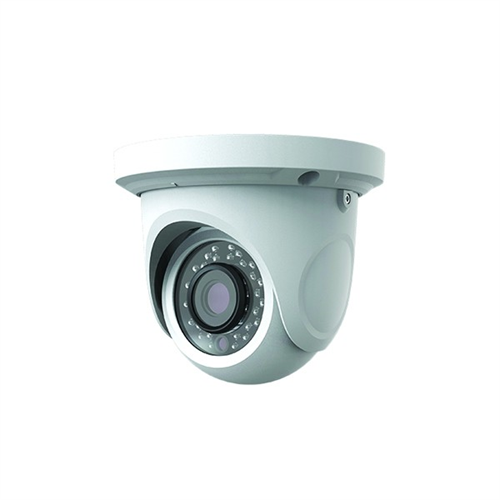 With its built in infrared LED’s, it can achieve up to 20 meter night vision distance and will automatically switch to it upon detecting low light in the surrounding area. The camera’s compact size and waterproof enclosure make it ideal for both indoor and outdoor applications.